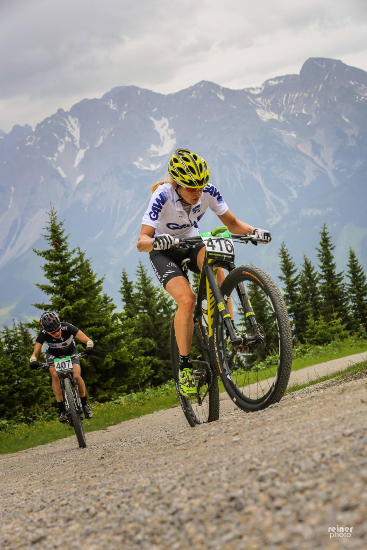 TORQ-fuelled Sally Bigham travels to Austria to race the Alpen Tour Trophy, wins 3 out of 4 stages and claims ‘Queen of the Mountains’ to boot. Last week we arrived in Schladming, Austria, for the Alpen Tour Trophy: 4 stages, 198km total distance, with 9000m of climbing. Although the stages were short, they certainly made up for it with altitude gain – the climbs were long and often really steep! The last time we raced there 2 years ago, we had to battle with snow storms and freezing temperatures, where as this year, we had scorching sunshine and many riders had cramp to deal with! As a UCI category S1 race, it attracted a competitive field of women all searching for valuable Olympic qualification points. It was a truly international field, with riders from all over Europe as well as Brazil, New Zealand and Australia. Interesting stats: 8 litres of TORQ energy and 16 TORQ gels consumed over the 4 days! After 2 weeks of hard training in preparation for the upcoming World Championships, I wasn’t entirely sure how the race would go for me? Winning 3 out of the 4 stages, taking the Queen of the Mountains prize, as well as the overall GC has given me confidence in my form ahead of the Worlds on 27th June. Now we are in Selva val Gardena, Italy, putting the final pieces of the jigsaw into place. 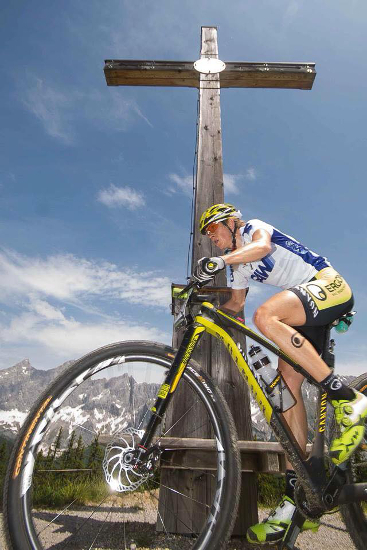 Fingers crossed for good luck – and good weather here in the Dolomites.